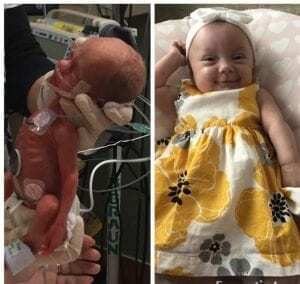 WNYT NewsChannel 13 aired a story on a local volunteer effort that benefits families in the Neonatal Intensive Care Unit (NICU) at St. Peter’s Hospital. 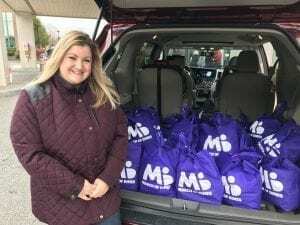 Erin Tarbox of East Greenbush is the driving force behind “Brinley’s Bags.” She came up with the idea after her baby girl, Brinley Grace, was born prematurely and ended up in the St. Peter’s NICU. The bags are full of personal care items, snacks, a journal, and a message of hope. Sandra Michael, RN, BSN, SNT, MST, CLC, manager of community integration and lactation services at St. Peter’s Hospital, was also interviewed for the story.